It's going to be a long summer... As we step into July, Cristiano Ronaldo's future next season is still a big question mark and it doesn't look like it's going to be determined anytime soon. Whether he's staying in Madrid or not, everyone seems to have an opinion on the matter. 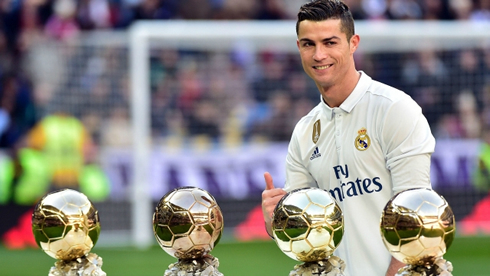 Recently, Spanish authorities made an announcement that claimed Cristiano Ronaldo defrauded the government to the tune of €14.7m through tax fraud. The allegations have certainly not been proven, at least not to the public as of yet, but it triggered the notion that Ronaldo was looking to leave Real Madrid and Spain completely. What could prompt such a decision? There could be many reasons why a player such as Ronaldo would leave such a high profile team and position, in the midst of a career that is still flourishing. Sure, there are other teams, but some have posited that Ronaldo could have been trying to test the waters regarding whether the team would help him financially, but those close to Ronaldo say this is completely not true. As for him being indispensable to the team, as some have suggested in recent weeks, Luis Figo, former Real Madrid and Barcelona player, said that whatever happens in the future for Ronaldo, no single player is indispensable. This is a complete break from tradition when some athletes are concerned, and it does highlight the impact that labeling someone "indispensable" could have an effect not just on the fan base and on the decisions from the team management, but also on the morale of the team itself. Luis Figo said during an interview with Gol, "I hold the opinion that nobody is indispensable, not just Cristiano Ronaldo. Clubs can't depend on anybody. The history of these clubs is above everyone, even the president or whoever." But what does he think will happen? Still, Luis Figo believes Ronaldo isn't going anywhere. "A lot of things would have to happen for him to leave", he started by saying. Figo: "It is a personal decision and if a person really wants something to happen, then it will end up happening, but I see it as unlikely..."
Real Madrid president, Florentino Perez, seemed to agree with that sentiment, but speaking on his own. He said, "Cristiano has a contract and he is a Real Madrid player. I have not talked with Cristiano... But they tell me he has been treated badly in this country. I have found everything out through the newspapers." 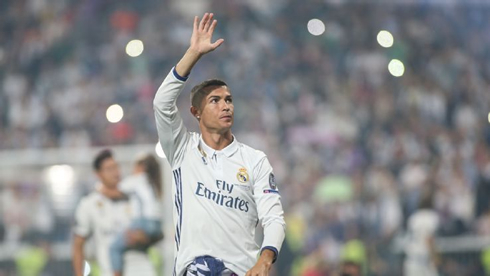 Ronaldo continues to play with Real Madrid and for die-hard fans, it's not likely he's going anywhere soon. The Merengues first game in their 2017-2018 pre-season is against Manchester United, on July 23. Cristiano Ronaldo next game is a friendly game for the International Champions Cup on July 23 of 2017 against Manchester United. You can watch Juventus live stream, Real Madrid vs Manchester United, Juventus vs Barcelona, Tranmere Rovers vs Liverpool, Sydney FC vs Arsenal, and Germany vs Mexico, all matches provided from our football and soccer game pages.